This unit goes from Limon to the Panama border. 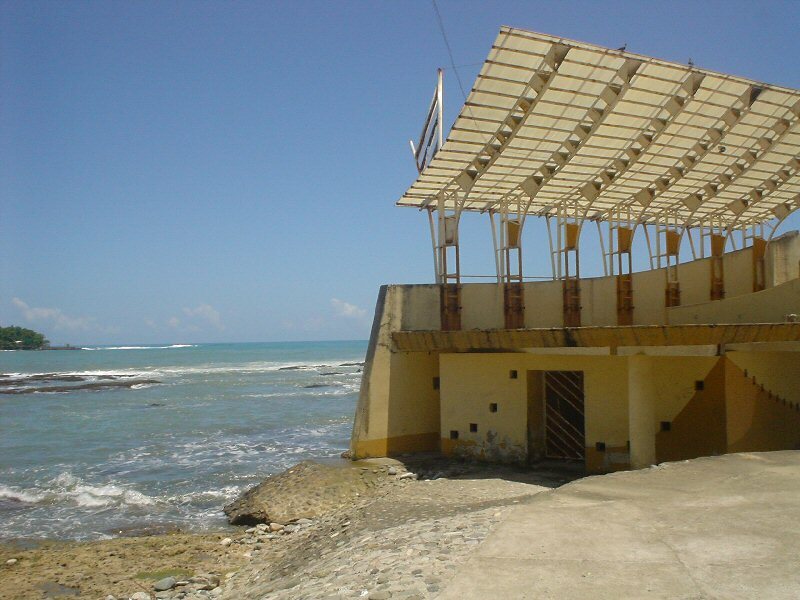 Limon is the primary tourist center as well as an scaling and distribution center. 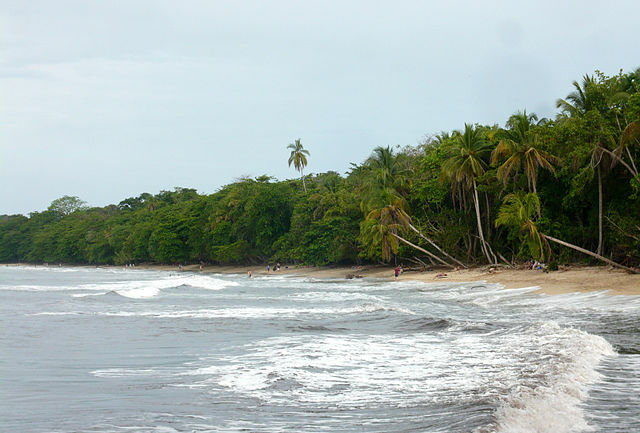 The region shows a country-unique combination of beaches, natural resources and afro American culture in Cahui­ta, Puerto Viejo and Gandoca Manzanillo. Limon’s development is quite different from the rest of the Caribbean Island, which gives it an special potential to distinguish Costa Rican products. High quality beaches allows adventure and natural history activities which definitely compliment with culture, gastronomy and music. Stand out the reefs, multicolor-sanded beaches (from black to yellow and gray), coastal vegetation and medium-high forest. Aerial Tram: The Aerial Tram permits park visitors to see the rain forest from a new and exciting perspective. With luck they are able to catch a glimpse of birds and other tree dwellers at close range. 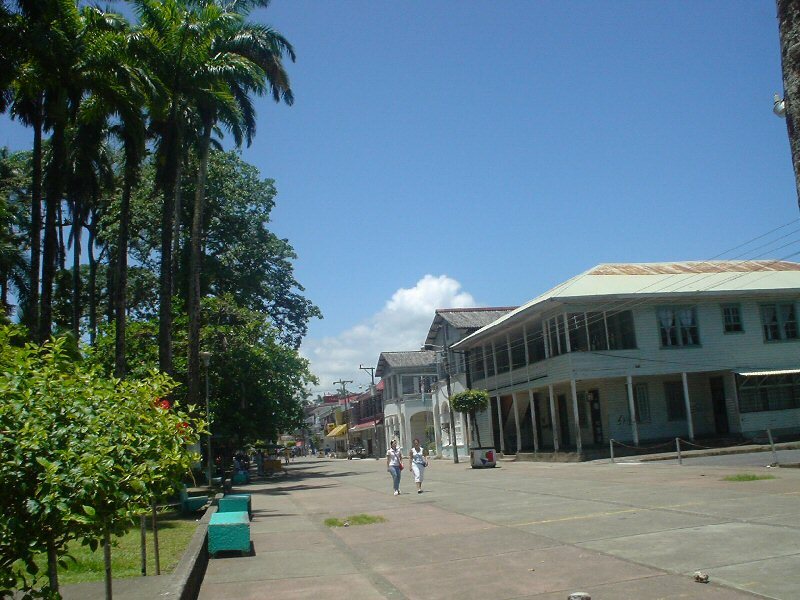 The first larger city along the way is Guapiles, the business center of Rio Frio, Costa Rica’s tradition-rich banana growing region. The completion of the new paved road has turned Guapiles into a traffic junction for travelers on their way to Puerto Viejo de Sarapiqui, Rara Avis and the Caribbean coast. 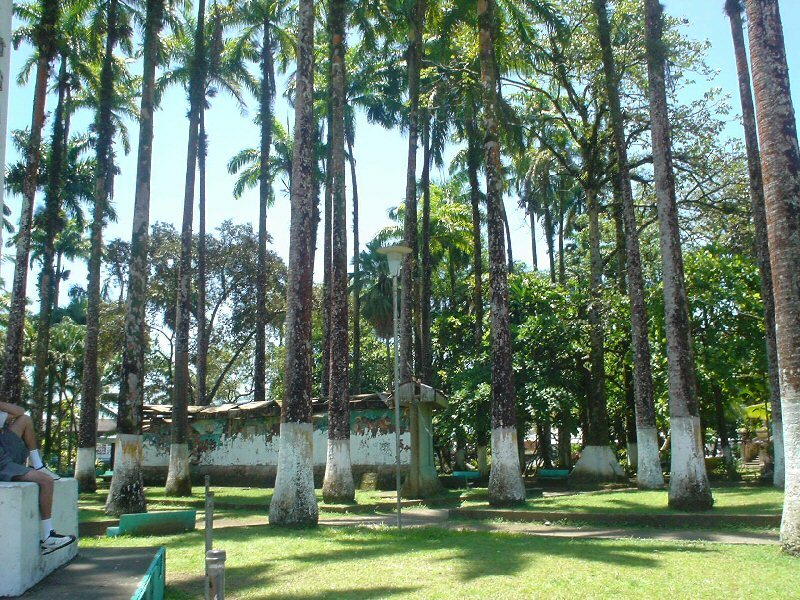 Guapiles was established in 1910 on the property of the vast Hacienda Guapiles cattle ranch. The railroad had been planned to go through the town, and Guapiles was meant to get a station. The mountains of the Cordillera Central, however, proved to be more than a match for the railway pioneers. After several futile attempts the road was laid to Turrialba and Siquirres instead. Ticos still call the stretch from Guapiles to Siquirres, Linea Vieja, the “Old Line.” During construction the railway workers discovered a great many pre-Columbian artifacts in the jungle. Guapiles takes handicrafts seriously. Good looking baskets and bamboo rocking chairs are made here and sold along the main street. 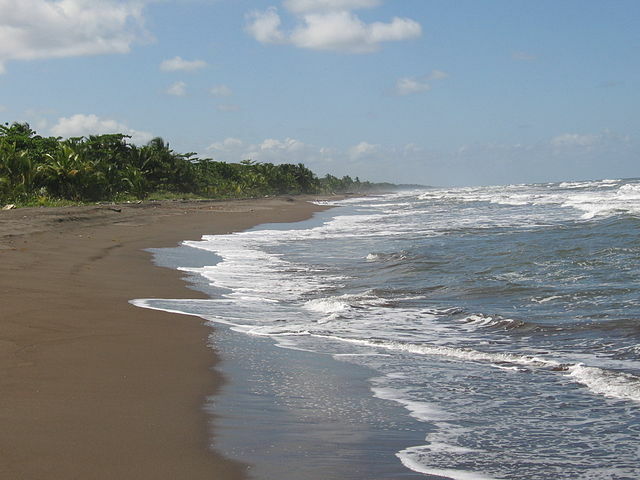 Guacimo: Guacimo, 12 kilometers in the direction of the Caribbean coast, is where the Escuela de Agricultura de la Region Humeda (EARTH), the school for tropical agriculture is located. Future farmers spend four years at the school learning environmentally sound and effective ways of farming and animal husbandry, suited to the fragile tropical ecosystem. Siquirres: The name Siquirres comes from the language of the Indian tribe who lives in this area and means “colored reddish.” The town is 110 kilometers east of San Jose, two kilometers beyond the bridge over the Rio Reventaz6n. Until 1992, it was an important railroad terminus for passenger trains as well as banana transport to the coast. Very few historic buildings of any note remain in Siquirres, but the town has three monuments. Two are in honor of local large land holders (patrones), and one commemorates those who died in the civil war, the Martires del Codo del Diablo, the martyrs of the 1948 revolution. The lively market, Mercado Central, right next to the former railway station, is worth a visit. All the town’s streets are limited to one way traffic. The town lost its importance in 1987 with the completion of the highway. It received another serious blow in 1992, when the Atlantic Railway was taken out of service following earthquake damage. 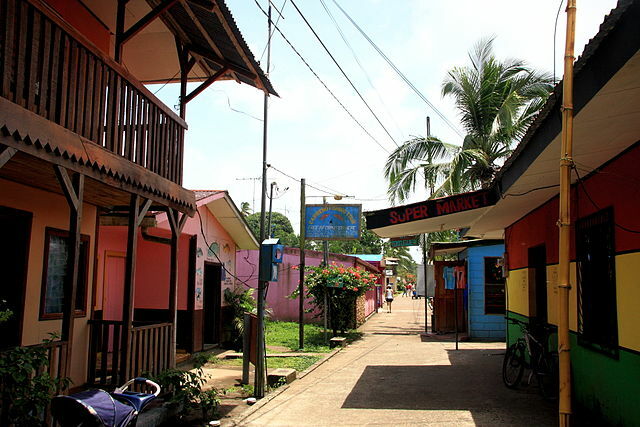 Most individual travelers choose Siquirres as a midway stop on their way to Tortuguero and the southern Caribbean coast. They usually have lunch in one of the town’s many restaurants. Rio Pacuare: Rio Pacuare, which flows nearby, is Costa Rica’s second most important river after the Rio Reventaz6n. Its quieter stretches are good for rafting in inflatable boats, but the river also has exciting passages through narrow gorges and rapids for thrilling white water trips. 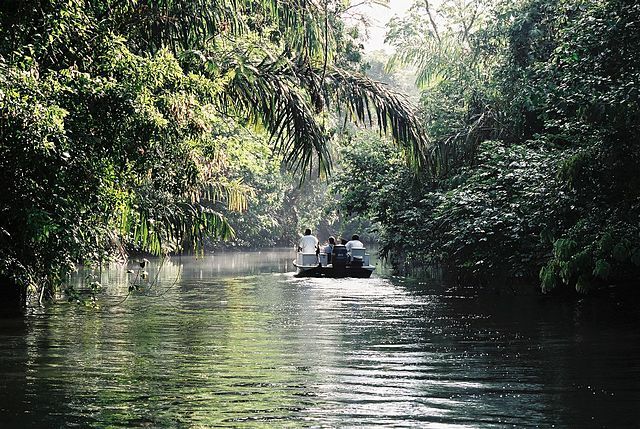 The river flows through virgin rain forest. From the raft it is possible to enjoy scenic views and to get a close-up view of the heavily wooded mountain slopes that rise almost perpendicular on both sides of the river. 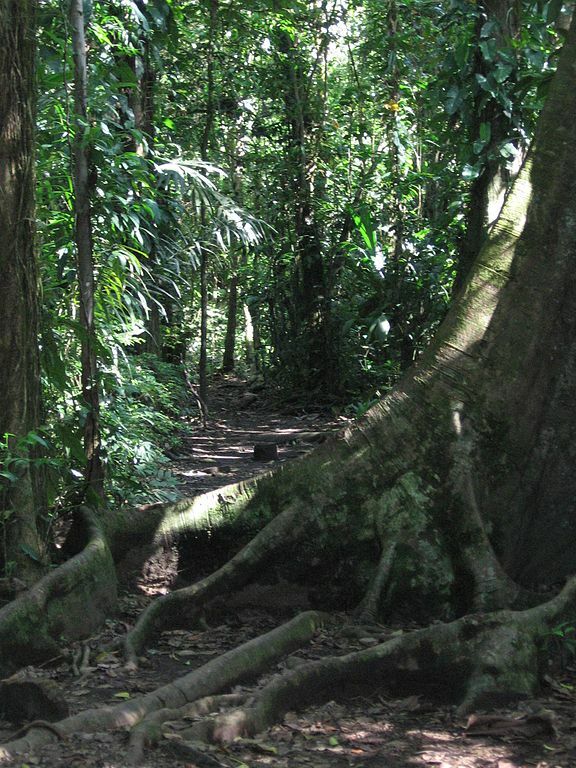 Cahui­ta National Park and Gandoca Manzanillo Reserve are worldwide recognized, not only because of their natural beauty but because they are becoming unique conservation places in almost the whole Caribbean.